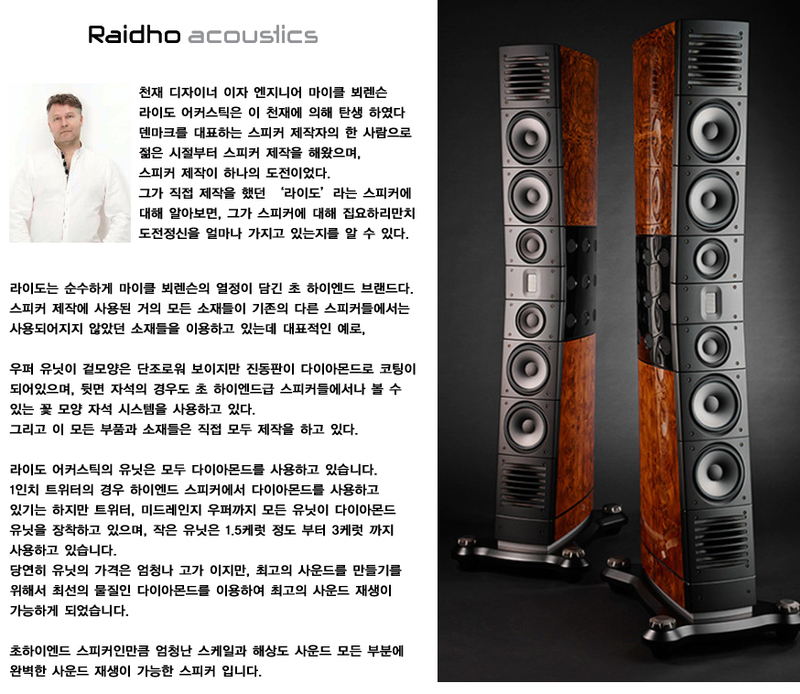 The Raidho Acoustics D-5.1 is a true 3-way Raidho Diamond Driver loudspeaker. 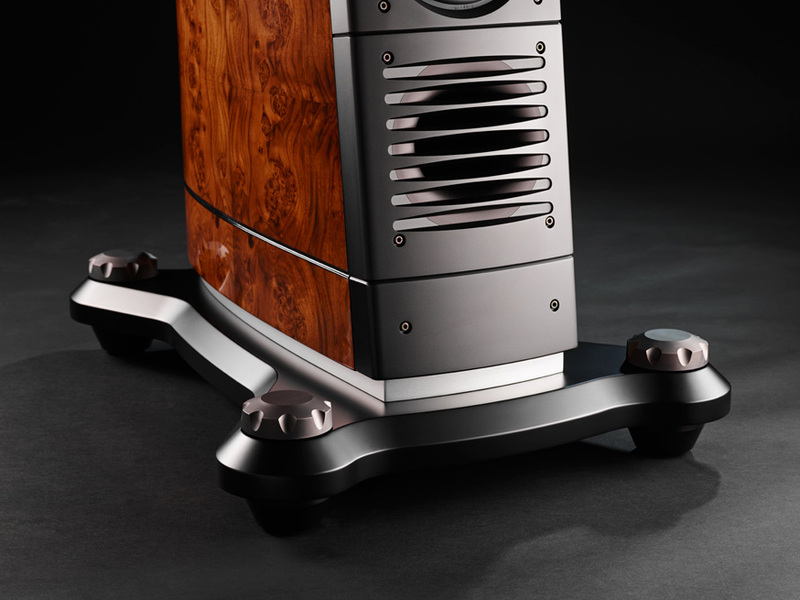 It has two dedicated 115 mm Diamond mid-range and four 8” Diamond bass drivers. The two mid-range drivers allow for unprecedented dynamic headroom lowers compression and vanishing low distortion figures. 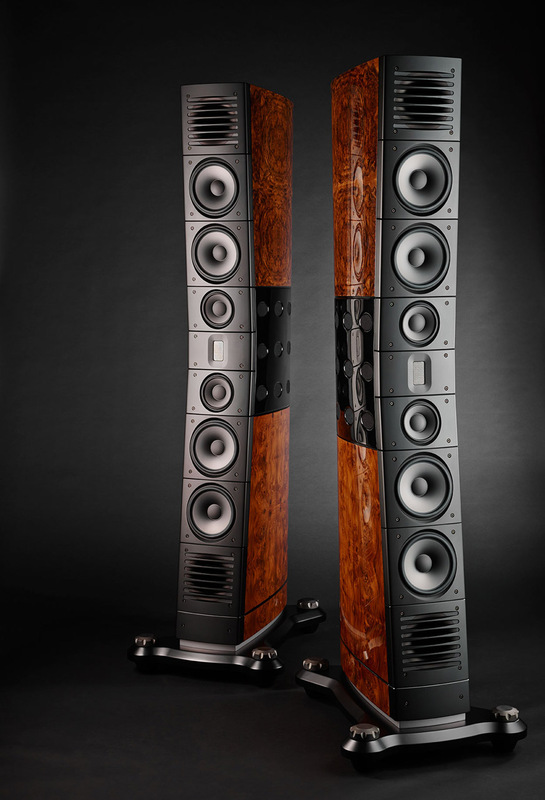 The four 8” bass drivers have grip, slam and extend deeper than the music on the recording itself. When you emerge yourself in the physical presence of the D-5 something magical happens: It simply reveals the inner substance of your music with a realism and naturalness that will leave you breathless. 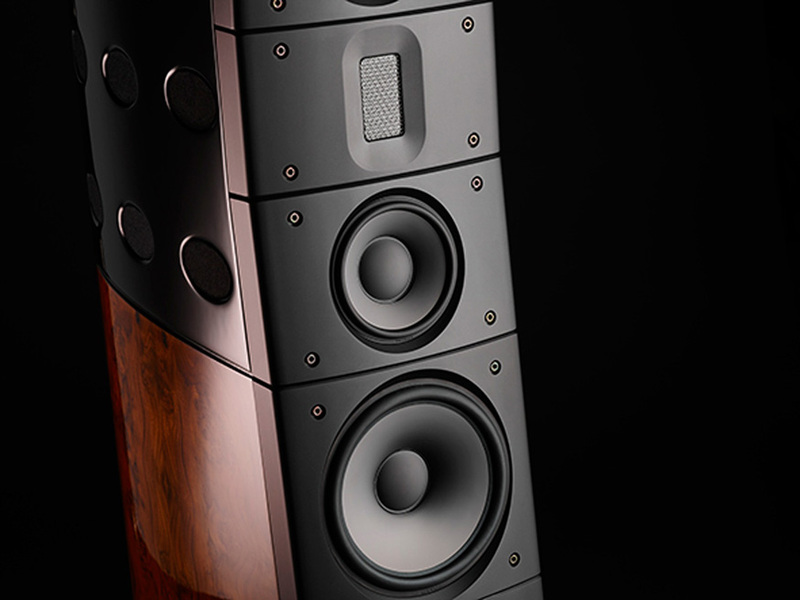 The D-5.1 is a truly unique musical performer and is for those, who really enjoy spending time and effort setting up their system and finding superb matching components, the closest you will ever get to bring “in real life” music experiences into your listening room.